Tony Lawrence's Coins & Stuff: What if you were robbed? Horrible to think about, isn't it? You've worked hard to build your collection and it may represent a significant financial investment also. But some low-life thief has taken it from you. What now? Of course you contact the police and your insurance company. Unless you had the foresight to specifically insure your coins, most home insurance will only cover a few hundred dollars and the police are often hampered by the fact that coins, even somewhat rare coins, are not easy to identify individually. If you had an 1878 Morgan dollar stolen and a pawn shop bought one the next day, who is to say they bought yours? Of course if the coins are certified and you have kept receipts, that might be different. That's a very specific item - that "28338135" uniquely identifies this silver dollar and distinguishes it from all others. If you gave the police a list of items like this, they'd have a much easier time identifying your coins should they turn up at a local pawn or coin shop. Your state and town may have strict requirements for that coin or pawn shop. For example, the coin shop near me has to report those purchases daily with photographs. There is usually at least some holding period before items can be resold, giving crime fighters some time to investigate. Having photographs in addition to lists can be very helpful. Most coin and pawn shops are honest - they don't want to buy stolen goods to start with and would be happy to help police recover from the thieves. If an important coin has been stolen, a picture not only helps identify the coin, but also tends to stick in people's memory more. 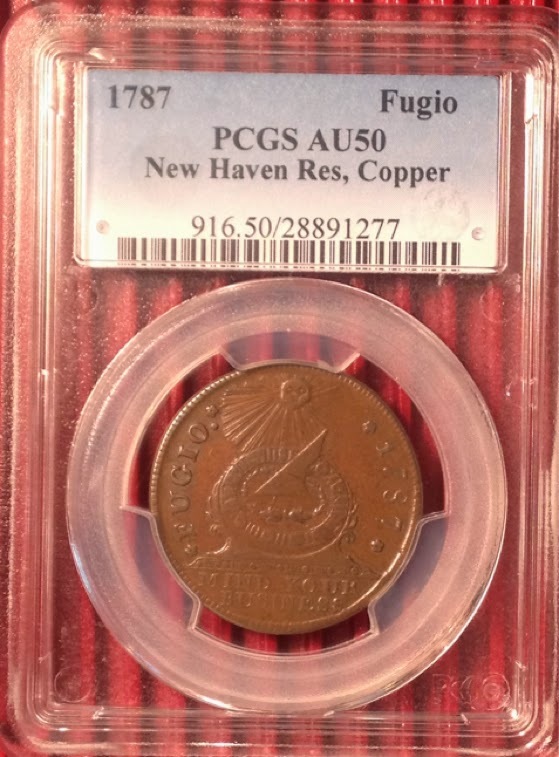 If I told you to watch out for PCGS 916.50/28891277 or showed you this picture, which do you think you'd remember better? In addition to your local police, you can and should report to the Numismatic Crime Information Center. They alert local, state, federal and even international law enforcement agencies as well as the numismatic industry in general. They also offer specialized services to assist law enforcement. Prevention is the best protection. Ideally, rare coins should be kept in a bank safe deposit box. Next base would be a burglary rated safe, but most home safes can only withstand a determined thief for a few minutes at least. Safes you see at places like BJ's or Costco are usually only fire rated - they can be popped open in literally seconds. By the way, ANA members can get discount insurance coverage. You can insure up to $10,000 of coins kept in a safe deposit box for around $50 a year. Don't forget to put desiccant in your safe and SDB and to check it and bake it when it needs regeneration. I found tins of "Orange indicating" on eBay and Amazon - I have one in each SDB, and two in the larger safe. Clue for the second 2014 Silver Eagle Giveaway: Copying Haseltine. I have all my coins photographed and stored on-line as well as in registered with the grading companies with pictures as well. Good information Tony!! By the way, I have an version of that Morgan 1883 in MS63 O mint mark that I love!